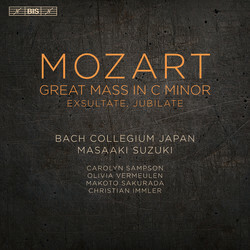 Following on the 2015 release of Mozart’s Requiem, Masaaki Suzuki and his Bach Collegium Japan has gone on to record the composers Mass in C minor, K427 – the ‘Great Mass’. As the nickname indicates it is a work of unusual proportions for a mass of the Classical period – or would have been so, had Mozart completed it. It is not known for what occasion Mozart intended the work, but a letter to his father Leopold dated 4 January 1783 indicate that he may have committed himself to writing it in connection with his marriage to Constanze and a planned visit to Salzburg. A performance of parts of the Mass did take place in Salzburg in October 1783, with Constanze performing the prominent soprano part. Two years later Mozart reused the music from the Kyrie and Gloria sections in the sacred cantata Davidde penitente, K 469, but the Mass itself was left incomplete. The present performance includes the sections completed by Mozart himself, as well as those sections for which extensive sketches by Mozart provided a basis for completion (by Franz Beyer in 1989). 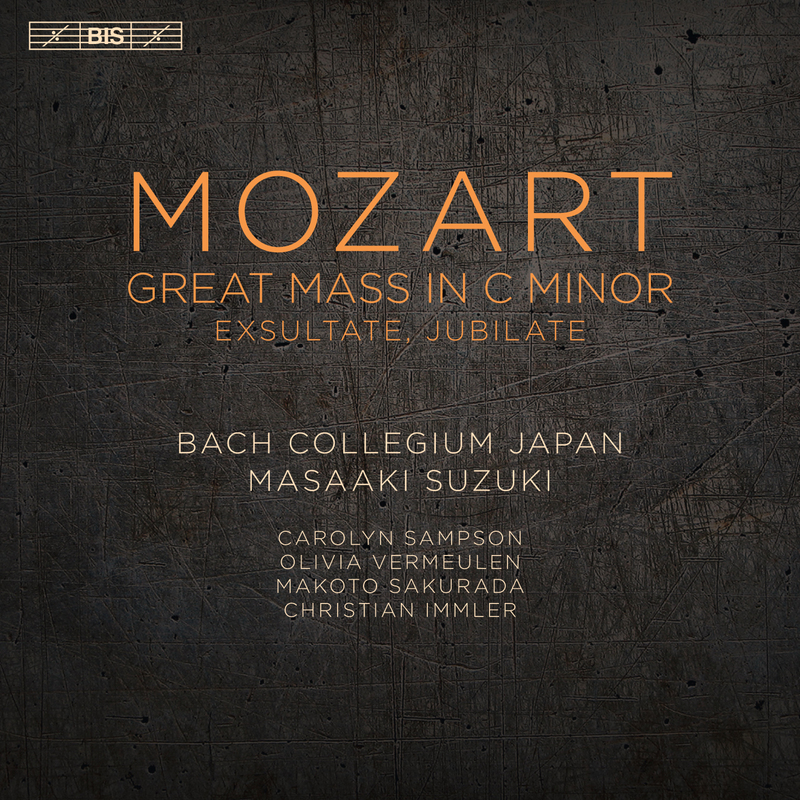 Three of Suzuki’s soloists also took part in the recording of the Requiem, while the Dutch mezzo-soprano Olivia Vermeulen makes her first appearance on BIS, shining in the aria Laudamus te. The disc closes with the celebrated cantata Exsultate, jubilate in which the soprano Carolyn Sampson glitters in the virtuosic solo part. As an appendix to the programme she and the Bach Collegium Japan orchestra also repeats the initial aria, in a less well-known later version with a slightly different text and with flutes replacing the oboes of the original.